The new anniversary update has added a new feature called auto-tuning in Windows 10. A lot has been added to the OS with the update, but the auto-tuning deserves a special mention. It basically is a mechanism to improve the network performance of the apps in the Windows store. What it does is that it basically prioritizes the Store apps instead of, let’s suppose, your web browser; consequently causing the reduction of internet speed. Right now, it works with apps communicating over TCP only. Now, this is not to say that auto-tuning is bad for you. Because, quite honestly, it’s not. It is MS’s attempt to make the Store apps more responsive and smooth over the internet. It’s not perfect, though, and this is why, it can sometimes cause the reduction of internet speed on your PC. 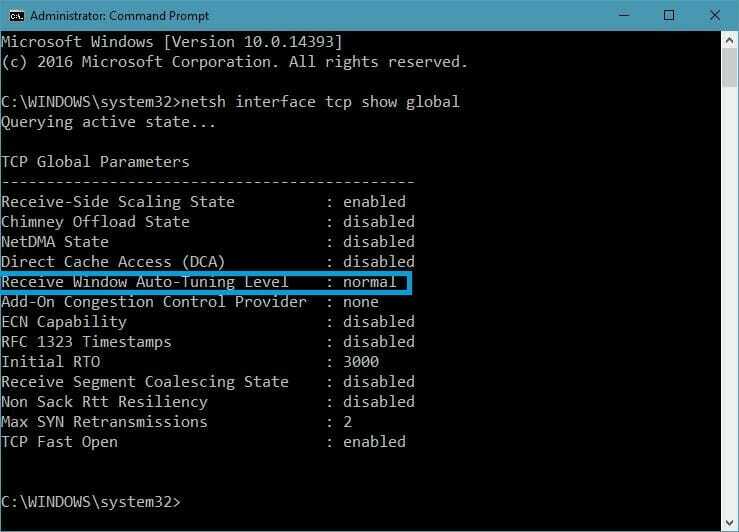 Before trying to disable it on your PC, you need to check whether auto-tuning is enabled in the first place. Try the following. Right click on the lower left side of the screen and open Command Prompt (Admin). This will open a command prompt with elevated privileges. As you can see in the image above, auto-tuning is enabled by default on my PC. Though I haven’t seen any significant change in my internet speed since the anniversary update, I feel like disabling it anyway. Note: You can replace disabled with normal to undo all the changes in the system. 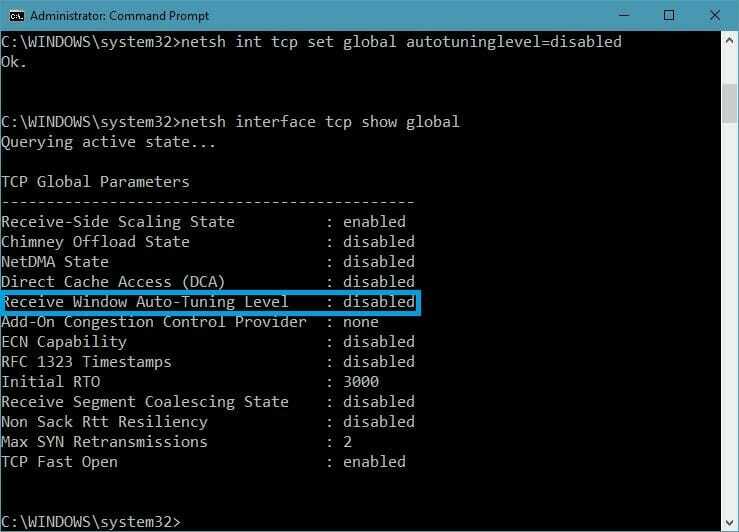 Now type the first command again to verify whether auto-tuning is disabled or not. This time, it should show as disabled instead of normal. After doing all this, make sure to restart your PC once apply the changes. You may or may not find any changes in your internet speed with this trick, but it certainly doesn’t hurt to do. In my particular case, as I mentioned above, it didn’t do anything significant. You can check internet speeds on your PC and let me know in the comments section how this worked for you.